How does ShiftRide's pricing compare to other options? 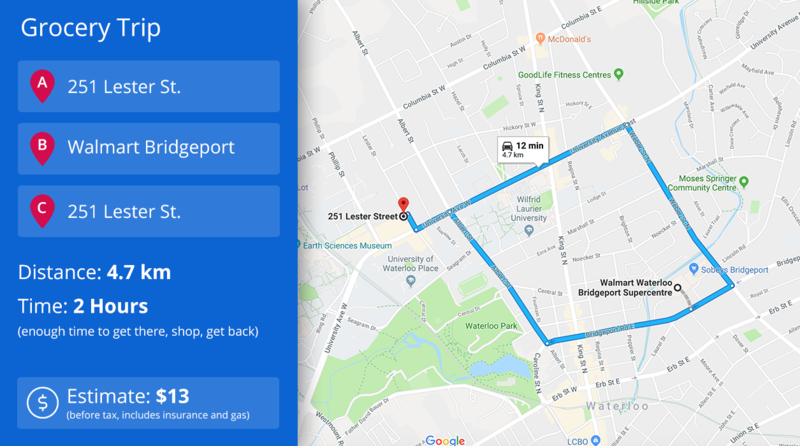 ShiftRide's pricing is optimized for short trips within the city. We decided to go with this model as our vision is to make ShiftRide as convenient as owning a car and more cost friendly. These are trips that people already make on a daily basis including shopping, getting groceries, running errands, going out with friends, going to the movies, grabbing food, and more. It's great for driving places where either public transit won't go or it just takes way too long to get there. Since it's also faster to travel with ShiftRide, you can get to do more in less time. You can get a price estimate for your own trip right on our website here: http://shiftride.com/#priceEstimate and also through our app. How is ShiftRide More Affordable? 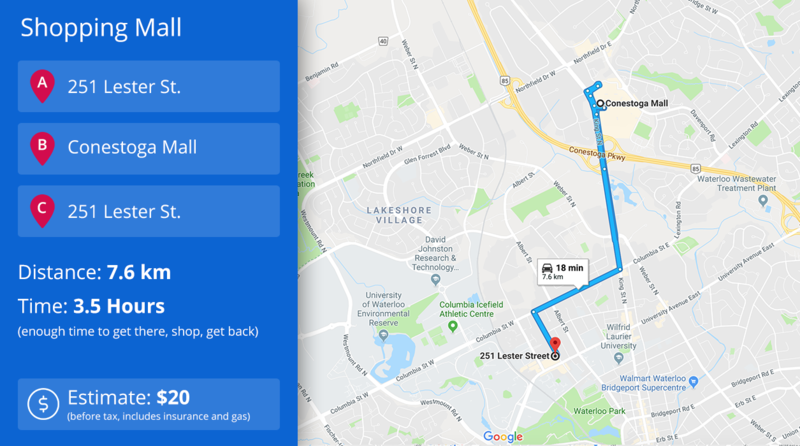 From these trips taken with ShiftRide, you might notice that prices are much more affordable compared to hailing a ride or renting from a car sharing company. 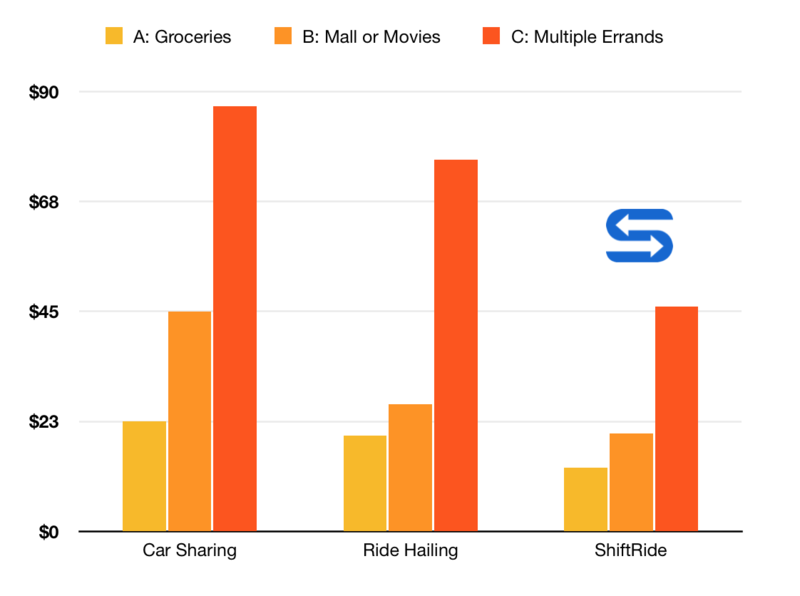 The reason why ShiftRide is more affordable is that unlike ride-hailing companies, where there is a driver who's spending their time driving you from one place to another, you drive yourself. A lot of people find this experience more enjoyable as it puts you in control of your journey, lets you go at your own pace, and be spontaneous. On the other hand, car sharing and car rental companies purchase vehicles for the sole purpose of renting them out to people and therefore must make their money back on these expensive purchases. With ShiftRide, however, you're driving someone else's car that usually would otherwise sit parked. And of course, you're insured and gas is included in the price once you're eligible with ShiftRide. Is ShiftRide Suitable for Long-Distance Travel? 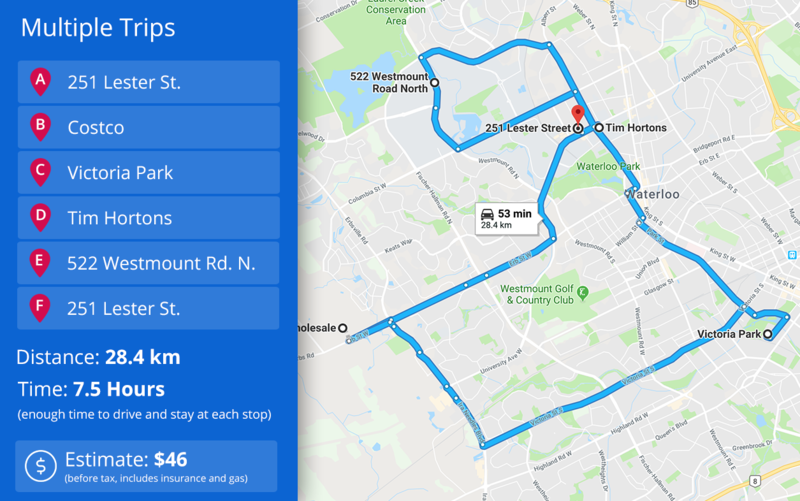 Since ShiftRide's pricing and model is optimized for short-term trips within the city, prices for driving outside of the city might be a bit steep depending on how far you're going and how long you'll be staying there.